I read somewhere that Obrecht was the first composer to leave a significant body of instrumental music. Are there any recordings focusing on it? Voices figure highly in it. I hope no one minds if I kick this off by asking a question about the early music analogue of the Missa Solemnis, the extraordinary Missa Maria Zart. 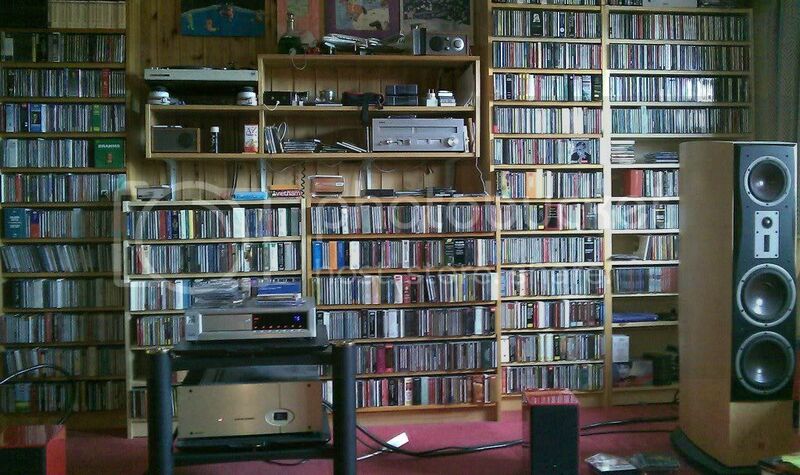 How do you find Peter Philips's recording? Has anyone heard the LP by Madrigal Singers of Prague? I'm tempted to get it, but I'd like to know what the style's like first. Listening to this recording now. M. Maria Zart is totally new to me, but what strikes me is how the music seems like aural filigree, with the voices moving in, out, around each other...and the text itself is almost irrelevant, with syllables and words popping out of the music at random intervals. Minimalism five centuries ago. Or is that simply the result of how Phillips treats the music. Do other recordings of this mass produce a similar result? I don't know. I'm not clear what Obrecht is doing with the mass text; I don't know any other recordings of MMZ. Went off to look at AmazonUS: if their listings are correct, there is no other recording! There is no listing for the Madrigal Singers of Prague LP. Erato will need to do his duty and hook up that record player. However, thinking it over, the mimimalist tendencies may owe more to Phillips than to Obrecht: the two modern composers he has focused on are Taverner and Part. I can't get the score to load on my tablet here, and I don't know if it's edited. But I'd be very curious to know if in the oldest manuscripts there are things like time signatures and bar lines. The style of M. Caput is so different from MMZ or M. Fortuna Desperata, so much less austere, that you could easily not believe they are by the same composer. More fancy twiddly music is hard to imagine. The performance here communicates Oxford Camerata's commitment. Transparent, a little lacking in the bass department maybe, but that's to nitpick. The phrasing sounds natural, not like it's been pulsed, more like it's been blown by the wind. Tempos make the music sound contemplative, but not languid. 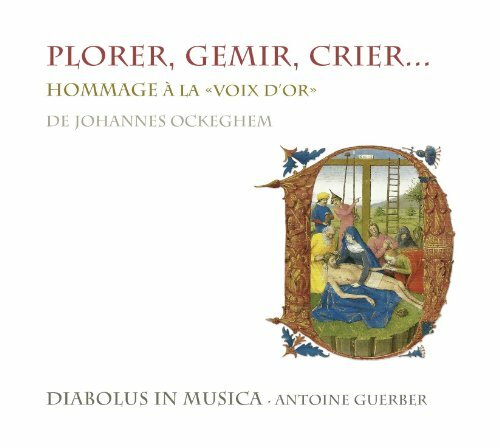 They use dynamic contrasts to help give the music some contours - but we're not quite at the depth of chiaroscuro that groups like De Labyrintho and Métamorphoses have given to Josquin, maybe the music won't allow it. On this link you can see the first short part of the original notation without barlines, followed by the editors version with added bar lines..
On my tablet the link merely led to the wiki home page. I had to find the Obrecht page, and then download the Maria Zart from that. Perusing the provided incipits, if they are faithful to the original, no bar lines were provided but time and key signatures were. But one question of performance practice struck me. Obrecht many times wrote long lines, over three or more measures, for a single syllable. For an immediate example, in the opening Kyrie, the soprano/discantus starts the second syllable of "eleison" on the first note of bar 5 and continues it through the middle of bar 10 before devoting the last third of the bar to the final two syllables*. Obrecht seems to have expected his singers to either use a relatively quick tempo or have very good breath control. But my question is this: the modern editor uses no slur lines. Would the singers of Obrecht's day have sung those parts as if slurred, or more staccato, with each note separated, as a modern musician might if confronted with the lack of slurs? *If my count is right, the discant and altus are short one quaver/eighth note in that measure, while the tenor and bass have a full count matching the time signature of 3/2. Deficit editing? I believe that is called rubato! Isaac also comes to mind. 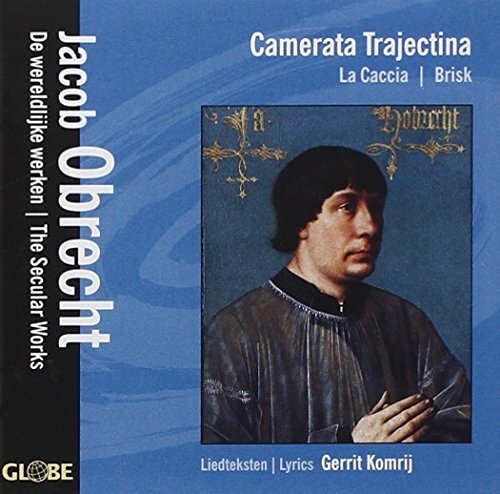 I've started to listen to this one by Cappella Pratensis with mixed feelings, M. Paschale. On the plus side, it's certainly not reverential and stodgy (two problems I've had listening to Isaac in the past.) It's transparent and it sounds like real human voices over the speakers - OVPP no doubt. Their edition uses ficta pretty creatively as far as I can tell, which stops the music feeling too tame. But it all feels a bit long winded, not interesting enough to sustain you for the duration. The organ improvisations (instead of chant) don't help, and you can't programme them out. If I were in church I'd be looking at my watch and squirming in the seats I think. 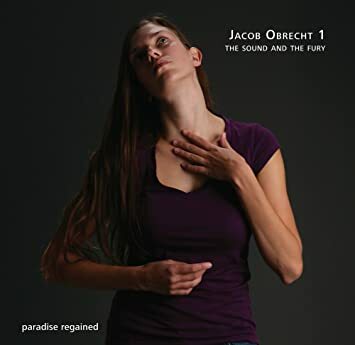 Re: Recordings of the music of Jacob Obrecht & Heinrich Isaac. I find Isaac to be a bit all over the place. He gives the impression of a gifted though not always very disciplined chap. That's a good find because the ANS did not release a commercial recording of MMZ. I've listened to just one of their commercial recordings, M. Malheur me bat, but it seemed a bit workmanlike and earthbound. This MMZ is live I think, I've only had a chance to hear the Kyrie and Gloria so far but it sounds vigorous and extrovert -- a very different style from Tallis/Phillips. And the fact that it's a boy band helps! But there are too many voices on a part really. Thanks for posting it. This may just be the best Obrecht mass performance I've heard, thanks for pointing it out. The credo is magic, with those high voices soaring. I should say that I haven't heard Clerks Group's M. Malheur me bat, it has been ordered and I have high expectations. Great disappointment with Clerks' Group's M.malheur me bat, which leaves me cold. There are some fine moments. The kyrie is intimate, there's a fabulous climax at the start of the Gloria, some nice word painting in the crucifixus and a wonderful change of affect for qui tollis, the Sanctus is suitably holy sounding. It may be the performance, it may be the music, it may be me. I have an intuition that the mass would work well in a transcription (for organ of course!) You can really hear what must have inspired people like Titelouze and Arauxo. I think this is grossly unfair. The mass is a fine piece of music, exhibiting the sort of comprehensive coherence that is Obrecht's trademark. 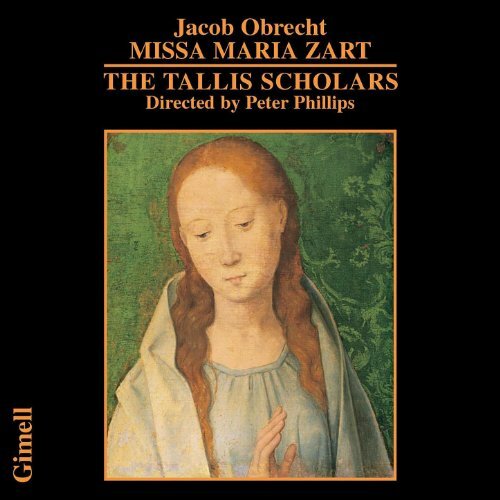 I do not think it is as impressive as MMZ, and I don't think that Clerks' Group are as fabulous as The Tallis Scholars in Obrecht. But still, after hearing it umpteen times, I can say this MMMB is a very valuable performance to have on record, and infinitely better than the version from the Hungarians. Revisiting Missa Fortuna Desperata. Somewhere I'd got in the back of my mind that the music is abstract, but the more you know it the more you realise that the mood of the music is in fact a reflection of the meaning of the text, for example "tu solus Dominus." I guess this would have been evident to contemporary audiences, I need to know the latin mass better I think. Anyway, the more you know it the more great it sounds. And it sounds enormous, like the structure is so rich and complex that it's elusive, you could never hold it in your mind. The thing is made even more elusive because it's not obviously imitative - I'm not hearing canons, but I'm very obtuse so I could be missing them! You don't have that reassurance of a previously heard tune like you do in a Art of Fugue. I remember feeling a bit like this, confusion and wonder, when I first listened to op 131 and (much) more recently to Ferneyhough SQ 6. It's good that that feeling can come back. Returning to Sound and Fury singing M Fortuna Desperata, the think that knocked me out most was the depth of feeling in the Agnus Dei. 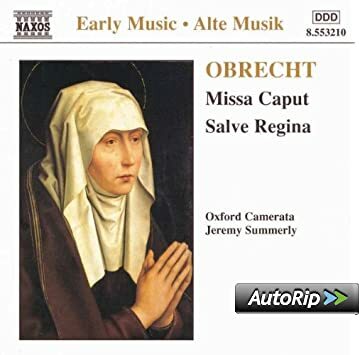 More than Heinrich Isaac, it's Alexander Agricola who seems to me to have things in common with Jacob Obrecht, at least in the late mass (M. In myne zyn) on this CD by Dirk Snellings/ Capilla Flamenca. The mass is huge, the imitation, variation and polyphony sound pretty complex, and although I can't prove it, I feel it has the same feeling of unity as the late Obrecht masses. And the same feeling of an uncompromising genius mind at work. For some reason, Snellings interleaves viol music with the mass movements.